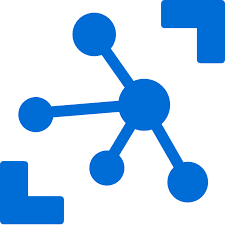 Azure IoT Hub is a fully managed service that enables reliable and secure bidirectional communications between millions of IoT devices and a solution back end. 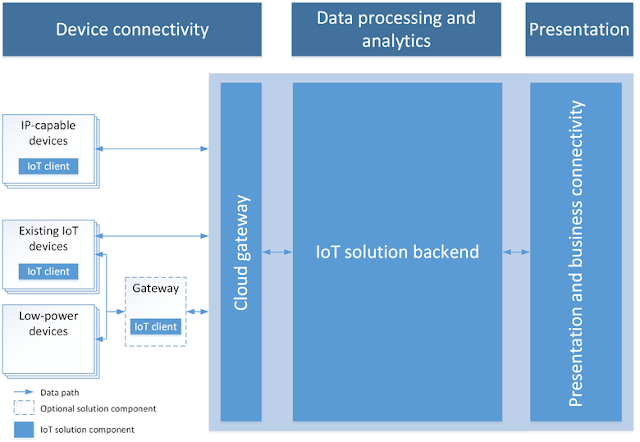 This article describes the common characteristics of an IoT solution in the cloud. IoT solutions require secure, bidirectional communication between devices, possibly numbering in the millions, and a solution back end. overview of Azure IoT Hub describes why should use Azure IoT services to implement an Internet of Things (IoT). The following design shows the key elements of a representative IoT solution architecture. The diagram is agnostic of the specific implementation details such as the Azure services used, and device operating systems. In this architecture, IoT devices collect data that they send to a cloud gateway. The cloud gateway makes the data available for processing by other back-end services. These back-end services can deliver data to Other business applications and Human operators through a dashboard or other presentation device. In an IoT solution architecture, devices typically send telemetry to the cloud for storage and processing. For example, in a predictive maintenance scenario, the solution back end might use the stream of sensor data to determine when a specific pump requires maintenance. Devices can also receive and respond to cloud-to-device messages by reading messages from a cloud endpoint. In the same example, the solution back end might send messages to other pumps in the pumping station to begin rerouting flows just before maintenance is due to start. This procedure makes sure the maintenance engineer could get started as soon as she arrives. Are often embedded systems with no human operator (unlike a phone). Can be deployed in remote locations, where physical access is expensive. May only be reachable through the solution back end. There is no other way to interact with the device. May have limited power and processing resources. May have intermittent, slow, or expensive network connectivity. May need to use proprietary, custom, or industry-specific application protocols. Can be created using a large set of popular hardware and software platforms. Provides multiple device-to-cloud and cloud-to-device communication options. These options include one-way messaging, file transfer, and request-reply methods. Provides built-in declarative message routing to other Azure services. Provides a queryable store for device metadata and synchronized state information. Are often embedded systems with no human operator. Can be in remote locations, where physical access is expensive. May only be reachable through the solution back end. In addition to the requirements above, any IoT solution must also deliver scale, security, and reliability. The resulting set of connectivity requirements is hard and time-consuming to implement when you use traditional technologies, such as web containers and messaging brokers.